When you drive the ring road in Iceland there are few places as out-of-worldly as this one. Eldhraun Lava Field in the South Coast is a vast field of harsh black lava. 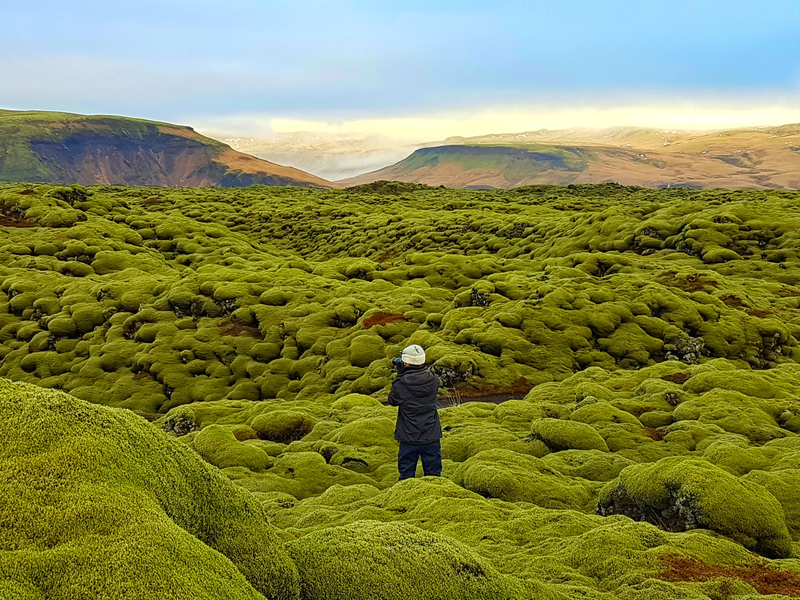 With the passing of time the lava has slowly been covered with bright green moss, smoothing out every edge, giving the area a feeling of softness. Even if moss is a common plant in Icelandic nature, there are a few spots that are worth paying special attention too. Eldhraun in Skaftárhreppur is one of them. This black lava field stretches over around 565 km2. The moss is very delicate and it is not allowed to walk in the area. The best way to enjoy the sight is to stop at one of the nearby parking spaces near the main road. This area is a popular sight with both locals and visitors. Eldhraun Lava Field was formed in a violent eruption that took place between 1783 – 1784. 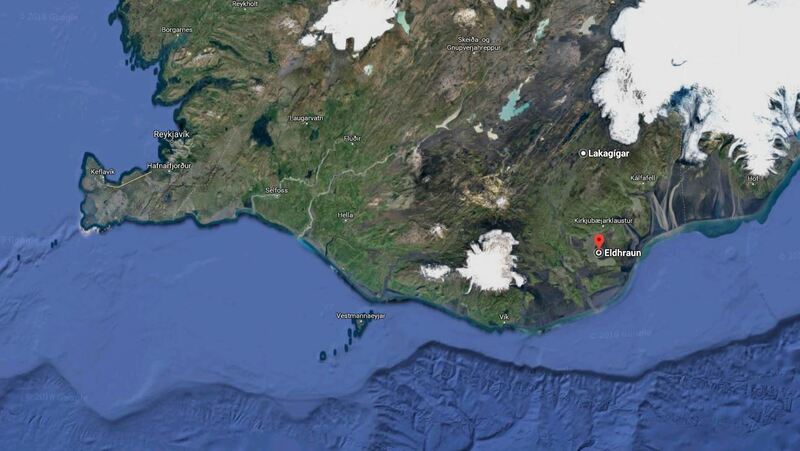 The eruption is called Lakagígar and is one of the largest eruptions on Earth after the Ice Age ended. This catastrophic eruption resulted in around 10.000 deaths in Iceland (around 20% of the population at the time). The fumes also reached Europe, resulting in widespread famine. Ash rained down in the UK that summer and some evidences suggest that this eruption and the famine that followed ultimately fueled the French Revolution in 1789. As a young volcanic island in the middle of the North Atlantic, Iceland does not have a lot of vegetation. There is a surprising amount of flora in Iceland, or around 5.500 types of wild plants. This is still a much lower number than in other countries as our harsh climate does not allow much varietyMoss, or Mosi in Icelandic, grows all over our precious island. There are around 600 different types of this adorable but resilient plant. Moss has the ability to grow in difficult environments and can tolerate up to -30°Celsius. Moss can be categorized between green algae and vascular plants. The Eldhraun Lava Field can be seen in this Justin Bieber video filmed in Iceland. 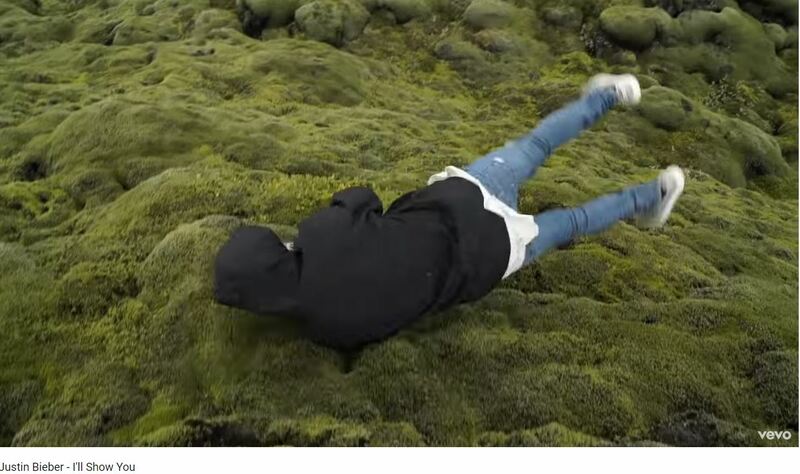 In min 2:24 he is shown rolling in the moss. A perfect example of what not to do in Eldhraun. Eldhraun is located West of the town of Kirkjubæjarklaustur. This is around 3 hours drive along the South Coast from Reykjavík City. The highway actually runs straight through the lava field so you can’t miss it!